A compact travel guide for Madrid that offers the "best of" lists for restaurants, attractions and shopping spots as well as the accommodation options. “To go to bed at night in Madrid marks you as a little queer” says Hemingway in Death in the Afternoon making a perfect summary ofthe life in Madrid. If you are reading this now, feel lucky because you are about to visit one of the most “alive” cities in the world. Prepare yourself for a magnificent oasis of history, art, nightlife and the culinary feast. You will never be asking about what to do in Madrid since you are in a city of countless events and activities. If you are visiting Madrid and want to keep pace with the local people, make a commitment to yourself that you will rarely sleep in this vibrant city. There is always something new to see, something new to taste and somewhere new to go in Madrid. Sun means so much to Madrid. One of the most popular and the busiest place in Madrid is named Puerta del Sol (Gate of the Sun) and it is regarded as the kilometer zero point in Spain. In Madrid, the sun procrastinates to set especially in summer, the mild weather keeps you warm and the botellon (drinking in parks, squares or public areas) starts the night. Being a plain, neat and green city, Madrid offers you heavenly gardens and famous large squares (plazas in Spanish). It has a gorgeous architecture and all the buildings are in harmony. Since it is a cosmopolitan city, there are many people from different cultures and they also live in harmony under the peaceful atmosphere of this city. Although Spain is known for its legendary football culture, you rarely can see violent fanatics. Even the supporters of El Classico watches the match together in a friendly atmosphere. Although English speaking people in Madrid may be rare to be found, they are so helpful that they will not leave you alone until they are sure that you are okay. They are calm, courteous and light-hearted and they reflect the true Mediterranean spirit. Located in the heart of the Iberian Peninsula, Madrid is also in the middle of Spain in line with its being the capital. Thanks to its central location in Spain, Madrid is easily reachable. Many major airlines have direct flight to this beautiful capital city. Atocha Train Station is the biggest and the first train station in Madrid. Housing many birds or turtles in the jungle inside, Atocha Train Station is located in the city center. Even if you don’t need to travel somewhere, make sure you visit this landmark of the city. Barajas Airport, which is the only airport in the city, is located only 15 km away from the city center. To have more detailed information about the transportation options to and from the airport, you can visit the access page of Barajas International Airport’s website. Bask in Parque del Oeste in Arguelles viewing Palacio Real in the smell of famous roses especially in June or May, if possible. Get amazed by the late sunset from any scenic terraces in the city. If you are a wine lover, take a tour of the great tastes of Spanish wines and visit Lavinia, Europe’s largest wine shop, Bodegas Santa Cecilia or Reserva y Cata. Get a little high and view the stunning scenery of Madrid from Teléferico Madrid. Try the Antigua Pastilería del Pozo’ famous cakes to taste heaven. Since 1830, they have the same decoration and the counter. Dine in the world’s oldest restaurant, Botin, to have the chance to dine in the same place with King Alfonso XII’s sister or Ernest Hemingway. Try churros with chocolate dip, especially after a night out. The official residence of the Spanish Royal Family, Palacio Real is one of the most impressive attraction points in Madrid despite being used in only state ceremonies. King of Spain, together with the royal family lives in Palacio de la Zarzuela, which is a smaller palace located in outside of the city center. To reach there, you can use metro and get off at Opera station. No matter you like bullfighting or not, Las Ventas Arena is one of the places you must see in Madrid. Known as the home of the bullfighting in Spain, Las Ventas is still in use since 1913. Described as Madrid’s Golden Triangle, these 3 museums will give you more than you expect. Prado Museum is the most visited museum in Madrid and when you get there, you’ll understand that this popularity is not for vain. It has more than 7600 paintings, 100 sculptures and 8200 drawings. It is located in the very center of the city and easily accessible. Located very near to Atocha Train Station, Reina Sofia Museum showcases excellent pieces from 20th century Spanish art. The third museum located in the Golden Triangle of Art, Thyssen-Bornemisza Museum is named after its founder and houses the private collection of Baron Thyssen-Bornemisza de Kaszon. The collection has more than 1600 paintings which makes the museum the second largest private collection in the world after British Royal Collection. Being in the city that never sleeps, enjoy the unforgettable nights to the core! Enjoy the warm nights at terraces, dine in the world’s oldest restaurant. Sip from your wine or Sangria accompanied by delicious tapas. Nightlife in Madrid will definitely entrance you. The place where you can see the best Flamenco show in Madrid. One of the biggest squares in Madrid, Plaza Mayor has many bars and restaurants and a world-renowned tourist attraction. Looking for the best tapas and wine in town? Plaza de Santa Ana will offer you many places that are experts of them. Dating back to 1725, Botin is the oldest restaurant in the world according to Guinness Book of Records. Although it’s crowded with tourists and you need to eat your dinner in haste, it is worth it to dine with the same restaurant with Hemingway. Madrid’s 3 Michelin starred restaurant Le Terrazza del Casino, offers an experimental cuisine. If you are in the mood of Mediterranean cuisine, here is the best option with fascinating views over the gardens of the Retiro Park. Spain’s biggest department store El Corte Ingles, is one of the places you should absolutely pay a visit when you are in Spain. Serrano is the most famous street of Madrid and there are many world-renowned brands’ stores along this street. Mercado San Miguel is a popular marketplace located in Plaza de San Miguel. Here, you can order tapas, wine and many others snacks. There are many stalls that you can stop by and fill your plate with delicious tastes. The former capital of Spain, and the Toledo is only 74 km from Madrid and you can make a day trip there. In this city from the Middle Age, you can follow the Route of Don Quixote or see Iglesia de Santo Tomé, El Greco's masterpiece. Toledo, also known as the city of three cultures as it has Christian, Muslim and Jewish cultural heritage, is also a UNESCO World Heritage Site. As a perfect souvenir for your family and friends you can buy steel products or swords because world’s best swordsmen are from Toledo. And remember, you can always ask for a discount while shopping in Spain including Toledo. Make sure you have a Spanish dictionary or you have a translation app on your phone because you can hardly find an English speaking people in shops, restaurants or in taxis. While shopping, always try your chance in negotiating. You can get even 50% discount in some places. If you wish to get your tax back, bear in mind that all tax free offices are closed at 23:00 in Barajas Airport. In such a case, you can use the mailing boxes. Beware of the pickpocketers who can approach you as beggars or peddlers. 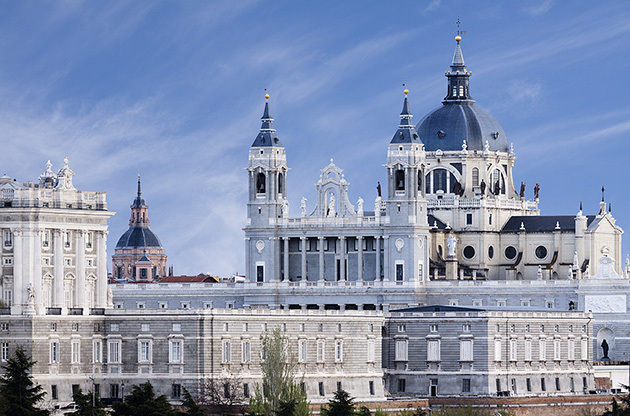 The capital city of Spain, Madrid is a perfect setting for international events thanks to its historic, modern and artistic face. Having a favorable climate, central location and perfect facilities, Madrid is one of the most preferred cities when it comes to international meeting organizations. Fairs, exhibitions, tradeshows, conferences and congress in Madrid draw so many tourist attraction in each year. Matchless venues, high class hotels with modern facilities, well-educated and specially trained staff and a gorgeous ambiance of the city make Madrid the center of all kinds of international events.